Gina Haspel (Deputy Director of CIA, Trump’s Nominee for CIA Director) – Very turbulent life, turbulent career, her mission abroad. What will help in her career? The gold from Iraq… – Clairvoyant/Psychic predictions April 16,2018, 9 am. 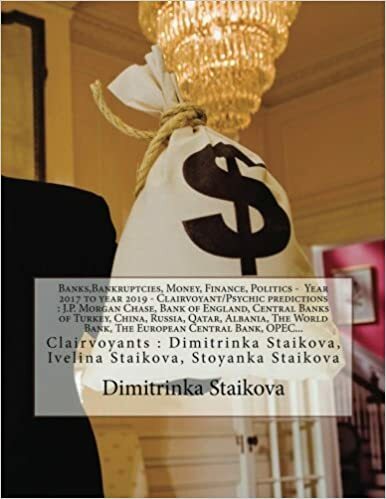 – by Clairvoyant House “Dimitrinka Staikova and daughters Stoyanka and Ivelina Staikova” – from Europe, Bulgaria, Varna. Photo : March 13, 2018. Time – after the photo. …..Gina Haspel’s health March 2018 : Her blood system is swelling by gases. The right side of her head doesn’t function well, the spine, tailbone and her right pelvic area are still inflamed by an old physical trauma. At the tailbone, right pelvic area and the head – there were an old bone bruise (as breaking). Her cervical vertebrae are slightly stiff and connected with a pain in the pituitary. At the pituitary – there at least three cysts – they are seen at the back of the head. And the pain is felt at the front of the head, at left – the eye and close to the jaw (at left). Then (the pain) is moving to the thyroid gland and the heart, and to the left shoulder. The interesting is, that I see two circles of strong energy and one circle of weaker energy – the bio-energy (the vital energy). The second circle is showing the gases (Colitis) in the stomach and problems at the liver and right kidney. Fron now on – there is a loss of money and investments. Part of her money will be taken and as earned in the future. From two days to two months are starting problems in her work and career. Then follows and a new assignment twice, and then retirement. Exactly jews are staying against her and become the reason for the troubles at her career – insiders , not outsiders. Then follows an intervention of a big energy company and the work and career on a new place will be recovered. A collision of the lobbies of two big energy companies (in the Senate) is leading to uniting of decisions and the landing of Gina Haspel and continuation of her work and career at more terrestrial conditions, connected with an energy company (which belongs to jews). From the first time, she will not like the things with her , right from the second decision. Until the end of April 2018 is coming the first bitterness – until the first days of May 2018 – there will be a decision – negation – about a future job position (career). Until August 2018 (including) – there will be an intermediate decision . Until the end of April 2019 – there will be a new decision that will make her happy. Year 2018 – there will be talking about a lawsuit against her (in the Senate) as a threat. The threat will take place as a future removal from her workplace. April and May 2018 – I see tracking (on her) and an attempt for assault – a car, fire (she is not in the fire). I see the place where she is living is observed. What she will not see is : above her home there is a helicopter and problems with the equipment of this helicopter – a shutdown of the electrical system ( with a directed beam). There will be no severe consequences. I see there is a family behind her back. I see a perfectly performing its duties person, but without her own spirit. She will feel the influence of the negative energy on her skin. She must use often in her food nuts and eggs. During a dangerous tasks I see that she is feeling a pleasure ( more adrenaline is separated in her body). Until the end of May 2018 – I see that she is looking calm. May and June 2018 – her work is connected more with Iraq, Turkey, Syria and Mediterranean Sea (ships and problems with military ships and planes). June 2018 – I see problems with Iran, Lebanon and aid sent to Jordan – military operations. June 2018 – there is a taking of positions – military groups which are sent in Africa and they are remaining there. The end of June, July 2018 – there are collisions with Russia – interests in Syria and Lybia which are fading away quickly. July 2018 – travel of ships and problems with China, Japan, Vietnam, Malaysia and Philippines (islands close to China and oil fields). July and August 2018- there are problems with the gas fields close to Israel, Egypt and near greek islands – there are collisions and talking about war. 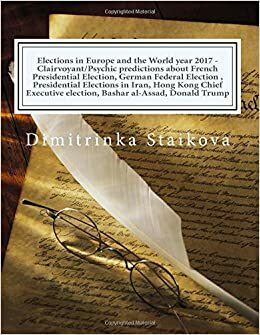 August 2018 – problems with internal war in USA and with the protection of Trump (because of threats and attacks). August 2018 is more aerial month – the threats are coming by the air. Order your Clairvoyant predictions today, pay with PayPal and You will receive the PDF file in the next 24 hours with Email delivery. This entry was posted in #Finance, Ankara, Bank of England, banks, Bilderberg group, billionaires, Black Lives Matter, BRUSSELS ATTACKS, business, Clairvoyant, Confirmation, Cyprus, Davutoglu, Donald Trump, Election 2020, Erdogan, George Soros, Health diagnosis, Hillary Clinton, Italy Earthquake, Manuel Valls, MH370, Midterm Elections 2018, migrant crisis, Money, Nicos Anastasiades, Peace, Politicians, Pope Benedict, Pope Francis, President Barack Obama, Psychic, royal family, Syria, Syria Strikes, terrorism, Turkey, Uncategorized, Us Elections 2016, Vatican, War, Washington, World Predictions 2017, World predictions that came true and tagged #SyriaStrikes, #Trump, #WWIII, Admiral Grigorovich and Admiral Essen frigates, afghanistan, aircraft, Alekperov, Alex Torshin, Alexei Mordashov, Alexey Miller, American troops out of Syria, Amnesty International, anti-Assad rebels, Assad’s use of sarin nerve gas, Azerbaijan, Baku, Baltic Sea, banned weapons, Bashar al-Assad, BASTION COASTAL MISSILE DEFENCE SYSTEM, billionaires, Britain, bureaucrats, Capitol Hill, Caspian Sea, Central Intelligence Agency, chemical attack, chemical attack last Saturday in the town of Douma, chemical weapons, chemical weapons facilities, chemical weapons program, chemical weapons-type targets, Chinese expansionism in Asia, chlorine gas attacks, CIA director, CIA Director: Mike Pompeo, CIA’s deputy director, Classified Information, conflict, conflict with Moscow, conflict with Russia, conflicts in Syria, Congress’s approval, Crimea, cyber warfare, Damascus, Defense Secretary Jim Mattis, Democrats, diplomacy, Donald Trump, drones, East-West tensions, eastern Europe, England, European allies, European gas market, fired 59 Tomahawk cruise missiles, foreign policy, France, French president Emmanuel Macron, Gas Pipeline, gas transit, gas transit via Ukraine, gas-transit contract, Gazprom, Gazprom CEO, Gazprom CEO Alexey Miller, Gazprom’s gas transmission systemm, Gen. James Mattis, Gen. John F. Kelly, Gen. Joseph Dunford, Gen. Joseph F. Dunford Jr., General Gerasimov, General Scaparrotti, Gennady Timchenko, George Tenet, German chancellor Angela Merkel, Gina Haspel, head of aluminum giant Rusal, head of Russia’s General Staff, Hmeymim air base in Syria, Homs, investors, iran, Iran nuclear deal, Iranian oil, Iraq, Islamic State militants, Jeremy Corbyn, John Brennan, Joint Chiefs Chairman, Kommersant, kremlin, Kremlin officials, Kurdish-led militia, Latakia Province, launched airstrikes, Leon Panetta, Leonid Mikhelson, Lukoil, Lukoil owner, LUKOIL President Vagit Alekperov, Maj. Gen. Igor Konashenkov, Mansuri and Changuleh oilfields, Marine General Joseph Dunford, Michael Hayden, Middle East, Mike Pompeo, military action, military advisor, military aircraft, military bases, military exercises, military officer, military weaponry, missile strikes on Syria, missiles, missiles and bombs, moscow, multisided war in Syria, Naftogaz, National Iranian Oil Company, National Security Council, NATO, NATO military alliance, NATO Secretary-General Jens Stoltenberg, Nato-Russia Council, NATO’s eastern flank, NATO’s expansion, NATO’s military committee, NATO’s supreme allied commander, nerve agent sarin, Nord Stream 2, Nord Stream 2 project, North Atlantic Alliance, North Korean leader Kim Jong-Un, oil, Oil Deals, oilfields, Oleg Deripaska, oligarchs, Organization for the Prohibition of Chemical Weapons, Pentagon, Pompeo, President Bashar al-Assad', President Donald Trump, Republican, Republican congressman, Republican leaders, Republican Senator Rand Paul, Rex Tillerson, rival ships, Roman Abramovich, Russia, Russia's oil-producing giant, Russia’s dollar billionaires, Russia’s military general staff, Russian ambassador, Russian assertiveness, Russian assets, Russian bank, Russian businesses, Russian ceasefire monitors, Russian companies, Russian Defence Minister, Russian Defence Minister Sergei Shoigu, Russian defence ministry, Russian Defense Ministry, Russian forces and Iranian-backed militias, Russian gas transit, Russian government, Russian military activity, Russian military advisers, Russian military capabilities, Russian military forces, Russian military police, Russian military sources, Russian oil major Lukoil, Russian oligarchs, Russian personnel, Russian politician, Russian politics, Russian President Vladimir Putin, Russian troops, Russians, satellite imagery, Scaparrotti and Gerasimov, Secretary of Defense, Secretary of Defense Jim Mattis, secretary of state, Security Council, Sen. Dianne Feinstein, Senate Foreign Relations Committee, Senate Intelligence Committee, Senator Robert Menendez, Senators, Sergei Shoigu, shareholders, ship-borne radar systems, soldiers, special counsel Robert Mueller, spy agency, St Petersburg, Stoltenberg, strikes on Syria, Suleiman Kerimov, Syria Strikes, Syria’s Shayrat air base, Syrian air defenses near Al-Kiswa, Syrian Democratic Forces, Syrian forces, Syrian leader Bashar Assad, Syrian military, Syrian President Bashar al-Assad, Syrian regime, Tartus naval facility, terrorism, the chairman of the Joint Chiefs of Staff, the complex, the deputy governor of Russia's central bank, the head of Lukoil, the House of Representatives, The Pentagon, the president on Iran, the Russian Federation, the Russian gas monopoly, the State Department, the top U.S. military officer, Theresa May, top Democrat, TRIUMPH’ S-400 SURFACE-TO-AIR MISSILES, troop movements, Trump Administration, Trump loyalist, Trump's secretary of state, U.S. air strikes against Syria, U.S. Army General Curtis Scaparrotti, U.S. attack, U.S. General Joseph Dunford, U.S. military officials, U.S. missile strike, U.S. sanctions, Ukraine, Ukrainian gas transit, United States, US Senate, US strikes on Syria, use of chemical weapons, USS Donald Cook, VAGIT ALEKPEROV, Valery Gerasimov, Vladimir Lisin, Vladimir Putin, war between the US and Russia, Washington, weapons manufacturer, Western military officials, Western strike on Syria, White House Chief of Staff on June 22, 2018 by Clairvoyant Dimitrinka Staikova. Sergey Shoygu ( Minister of Defense of Russia ) – How bad is the health of Sergey Shoygu ? The war in Syria in details – Air strikes of USA, intervention and conquest by USA. The war Russia – USA ? What will stop it? The war Iran-USA – Where it will stop? Where is the dividing line? Where is Bashar al-Assad? The specified war Russia-USA with details – without the victims. The surprise factor – Iran. The war at the Arctic. Problems – Trump and a new war… From where will enter Europe in the war with Syria? – Clairvoyant/Psychic predictions April 12, 2018 –by Clairvoyant House “Dimitrinka Staikova and daughters Stoyanka and Ivelina Staikova” – from Europe, Bulgaria, Varna. May 2018 – the sirens are working a few times – there is a danger only by the air. From May 16th to May 21th year 2018 – there is a taking of final decision. I see fires in Syria (the whole country). There is a strong pressure from two sides – like an air pressure. In the same time, there will be also Climate Changes and Space phenomena – big objects will fall from the Space. June 2018 -…..
by Clairvoyant Stoyanka Staikova – Jan. 3, 2018 – Part of Clairvoyant House “Dimitrinka Staikova and daughters Stoyanka and Ivelina Staikova” – from Europe, Bulgaria, Varna. …..Hassan Rouhani – ….He is seeing a big hill – in the base of this hill there is a big energy and a war. This entry was posted in Uncategorized and tagged #SyriaStrikes, #Trump, #WWIII, Admiral Grigorovich and Admiral Essen frigates, afghanistan, aircraft, Alekperov, Alex Torshin, Alexei Mordashov, Alexey Miller, American troops out of Syria, Amnesty International, anti-Assad rebels, Assad’s use of sarin nerve gas, Azerbaijan, Baku, Baltic Sea, banned weapons, Bashar al-Assad, BASTION COASTAL MISSILE DEFENCE SYSTEM, billionaires, Britain, bureaucrats, Capitol Hill, Caspian Sea, Central Intelligence Agency, chemical attack, chemical attack last Saturday in the town of Douma, chemical weapons, chemical weapons facilities, chemical weapons program, chemical weapons-type targets, Chinese expansionism in Asia, chlorine gas attacks, CIA director, CIA Director: Mike Pompeo, CIA’s deputy director, Classified Information, conflict, conflict with Moscow, conflict with Russia, conflicts in Syria, Congress’s approval, Crimea, cyber warfare, Damascus, Defense Secretary Jim Mattis, Democrats, diplomacy, Donald Trump, drones, East-West tensions, eastern Europe, England, European allies, European gas market, fired 59 Tomahawk cruise missiles, foreign policy, France, French president Emmanuel Macron, Gas Pipeline, gas transit, gas transit via Ukraine, gas-transit contract, Gazprom, Gazprom CEO, Gazprom CEO Alexey Miller, Gazprom’s gas transmission systemm, Gen. James Mattis, Gen. John F. Kelly, Gen. Joseph Dunford, Gen. Joseph F. Dunford Jr., General Gerasimov, General Scaparrotti, Genie Energy, Gennady Timchenko, George Tenet, German chancellor Angela Merkel, Gina Haspel, head of aluminum giant Rusal, head of Russia’s General Staff, Hmeymim air base in Syria, Homs, investors, iran, Iran nuclear deal, Iranian oil, Iraq, Islamic State militants, Israeli annexation of the Golan, Jeremy Corbyn, John Brennan, Joint Chiefs Chairman, Kommersant, kremlin, Kremlin officials, Kurdish-led militia, Latakia Province, launched airstrikes, Leon Panetta, Leonid Mikhelson, Lukoil, Lukoil owner, LUKOIL President Vagit Alekperov, Maj. Gen. Igor Konashenkov, Mansuri and Changuleh oilfields, Marine General Joseph Dunford, Michael Hayden, Middle East, Mike Pompeo, military action, military advisor, military aircraft, military bases, military exercises, military officer, military weaponry, missile strikes on Syria, missiles, missiles and bombs, moscow, multisided war in Syria, Naftogaz, National Iranian Oil Company, National Security Council, NATO, NATO military alliance, NATO Secretary-General Jens Stoltenberg, Nato-Russia Council, NATO’s eastern flank, NATO’s expansion, NATO’s military committee, NATO’s supreme allied commander, nerve agent sarin, Nord Stream 2, Nord Stream 2 project, North Atlantic Alliance, North Korean leader Kim Jong-Un, oil, oil bonanza, Oil Deals, oilfields, Oleg Deripaska, oligarchs, Organization for the Prohibition of Chemical Weapons, Pentagon, Pompeo, President Bashar al-Assad', President Donald Trump, RAND Corporation, Republican, Republican congressman, Republican leaders, Republican Senator Rand Paul, Rex Tillerson, rival ships, Roman Abramovich, Russia, Russia's oil-producing giant, Russia’s dollar billionaires, Russia’s military general staff, Russian ambassador, Russian assertiveness, Russian assets, Russian bank, Russian businesses, Russian ceasefire monitors, Russian companies, Russian Defence Minister, Russian Defence Minister Sergei Shoigu, Russian defence ministry, Russian Defense Ministry, Russian forces and Iranian-backed militias, Russian gas transit, Russian government, Russian military activity, Russian military advisers, Russian military capabilities, Russian military forces, Russian military police, Russian military sources, Russian oil major Lukoil, Russian oligarchs, Russian personnel, Russian politician, Russian politics, Russian President Vladimir Putin, Russian troops, Russians, satellite imagery, Scaparrotti and Gerasimov, Sea of Galilee, Secretary of Defense, Secretary of Defense Jim Mattis, secretary of state, Security Council, Sen. Dianne Feinstein, Senate Foreign Relations Committee, Senate Intelligence Committee, Senator Robert Menendez, Senators, Sergei Shoigu, shareholders, ship-borne radar systems, soldiers, special counsel Robert Mueller, spheres of influence, St Petersburg, Stoltenberg, strikes on Syria, Suleiman Kerimov, Syria Strikes, Syria’s Shayrat air base, Syrian air defenses near Al-Kiswa, Syrian Democratic Forces, Syrian forces, Syrian leader Bashar Assad, Syrian military, Syrian President Bashar al-Assad, Syrian regime, Tartus naval facility, terrorism, the chairman of the Joint Chiefs of Staff, the complex, the deputy governor of Russia's central bank, the Golan Heights, the head of Lukoil, the House of Representatives, The Pentagon, the president on Iran, the Russian Federation, the Russian gas monopoly, the State Department, the top U.S. military officer, Theresa May, top Democrat, TRIUMPH’ S-400 SURFACE-TO-AIR MISSILES, troop movements, Trump Administration, Trump loyalist, Trump's secretary of state, U.S. air strikes against Syria, U.S. Army General Curtis Scaparrotti, U.S. attack, U.S. General Joseph Dunford, U.S. military officials, U.S. missile strike, U.S. sanctions, Ukraine, Ukrainian gas transit, United States, US Senate, US strikes on Syria, US/Israeli energy companies, use of chemical weapons, USS Donald Cook, VAGIT ALEKPEROV, Valery Gerasimov, Vladimir Lisin, Vladimir Putin, war between the US and Russia, Washington, weapons manufacturer, Western military officials, Western strike on Syria, White House Chief of Staff on May 11, 2018 by Clairvoyant Dimitrinka Staikova. Photo – April 13, 2018. Time – after the photo. 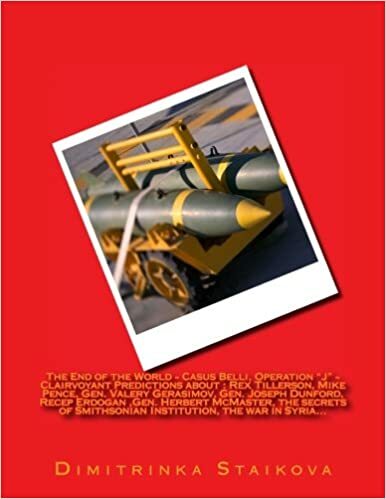 .….It is forthcoming about the americans to loose a plane. …. I see a gathering of NATO armies in the future at Black Sea and it will be on a two points of a territory -between Turkey , and Bulgaria and Roumania. May 2018 is a month of political pressure and a temporary stopping (reduction) of the air attacks. Then, there are meetings and negotiations about the redistribution of the World. Everything is formally – as negotiations. Trump has specified everything with Putin long time ago. A theater will be played before the militaries and the politicians. June 2018 …. This entry was posted in Uncategorized and tagged #airnationalguard, #C130, #c130crash, #fighter, #MAGA, #nationalguard, #planecrash, #Qarmy, #SyriaStrikes, #Trump, #WWIII, 156th Airlift Wing unit of the Puerto Rico Air National Guard, @POTUS, a bomber, a frigate, a patrol vessel and a MPA P 235 research plane, Admiral Grigorovich and Admiral Essen frigates, aerial, aerial refueling, afghanistan, airborne surveillance, aircraft, Alekperov, Alex Torshin, Alexei Mordashov, Alexey Miller, American troops out of Syria, Amnesty International, anti-Assad rebels, Assad’s use of sarin nerve gas, asymmetric, attack plane A-10, auxiliary vessels, Azerbaijan, B-52, Baku, Baltic Sea, banned weapons, Bashar al-Assad, BASTION COASTAL MISSILE DEFENCE SYSTEM, billionaires, Black Sea, Breaking, Britain, Britain’s HMS Duncan (D37) missile destroyer, Bulgaria, bureaucrats, C-130, C-130 cargo plane, C-130 Hercules, Capitol Hill, cargo plane, Caspian Sea, Central Intelligence Agency, chemical attack, chemical attack last Saturday in the town of Douma, chemical weapons, chemical weapons facilities, chemical weapons program, chemical weapons-type targets, Chinese expansionism in Asia, chlorine gas attacks, CIA director, CIA Director: Mike Pompeo, CIA’s deputy director, civil engineering, Classified Information, combat delivery, combat divers, conflict, conflict with Moscow, conflict with Russia, conflicts in Syria, Congress’s approval, corvettes, crash, Crimea, cyber warfare, Damascus, Defense Secretary Jim Mattis, Democrats, diplomacy, Donald Trump, drones, East-West tensions, eastern Europe, England, European allies, European gas market, F/A-18, fired 59 Tomahawk cruise missiles, fleet of planes, force support, foreign policy, France, French president Emmanuel Macron, frigates, GA, Gas Pipeline, gas transit, gas transit via Ukraine, gas-transit contract, Gazprom, Gazprom CEO, Gazprom CEO Alexey Miller, Gazprom’s gas transmission systemm, Gen. James Mattis, Gen. John F. Kelly, Gen. Joseph Dunford, Gen. Joseph F. Dunford Jr., General Gerasimov, General Scaparrotti, Gennady Timchenko, geopolitics situation, George Tenet, Georgia, Georgia Air National Guard, German chancellor Angela Merkel, German Navy’s FGS Bayern (F217), Gina Haspel, Greece, head of aluminum giant Rusal, head of Russia’s General Staff, Hmeymim air base in Syria, Homs, hurricane hunting, investigators, investors, iran, Iran nuclear deal, Iranian oil, Iraq, Islamic State militants, Jeremy Corbyn, John Brennan, Joint Chiefs Chairman, Kommersant, kremlin, Kremlin officials, Kurdish-led militia, Latakia Province, launched airstrikes, Leon Panetta, Leonid Mikhelson, Lockheed WC-130 Hercules aircraft, logistics readiness, Lukoil, Lukoil owner, LUKOIL President Vagit Alekperov, Maj. Gen. Igor Konashenkov, Mansuri and Changuleh oilfields, Marine General Joseph Dunford, Michael Hayden, Middle East, Mike Pompeo, military, military accidents, military action, military advisor, military aircraft, military bases, military drill, military exercises, military officer, military weaponry, missile strikes on Syria, missile-carrying ships, missiles, missiles and bombs, mobile missile launch units, moscow, MPA P 8 Poseidon patrol plane, Muñiz Air National Guard Base, multisided war in Syria, Naftogaz, National Iranian Oil Company, National Security Council, NATO, NATO exercise, NATO Maritime Allied Command (MARCOM), NATO Maritime Group, NATO Maritime Group 2 (SNMG2), NATO member, NATO military alliance, NATO Secretary-General Jens Stoltenberg, NATO standard procedures, NATO vessels, Nato-Russia Council, NATO’s eastern flank, NATO’s expansion, NATO’s military committee, NATO’s supreme allied commander, Naval Forces Master Plan #C130, nerve agent sarin, Nord Stream 2, Nord Stream 2 project, North Atlantic Alliance, North Korean leader Kim Jong-Un, oil, Oil Deals, oilfields, Oleg Deripaska, oligarchs, Organization for the Prohibition of Chemical Weapons, Pentagon, Pompeo, President Bashar al-Assad', President Donald Trump, Puerto Rico Air National Guard, Republican, Republican congressman, Republican leaders, Republican Senator Rand Paul, Rex Tillerson, rival ships, Roman Abramovich, Romania, Romanian Navy, Russia, Russia's oil-producing giant, Russia’s dollar billionaires, Russia’s military general staff, Russian ambassador, Russian assertiveness, Russian assets, Russian bank, Russian businesses, Russian ceasefire monitors, Russian companies, Russian Defence Minister, Russian Defence Minister Sergei Shoigu, Russian defence ministry, Russian Defense Ministry, Russian forces and Iranian-backed militias, Russian gas transit, Russian government, Russian military activity, Russian military advisers, Russian military capabilities, Russian military forces, Russian military police, Russian military sources, Russian oil major Lukoil, Russian oligarchs, Russian personnel, Russian politician, Russian politics, Russian President Vladimir Putin, Russian troops, Russians, satellite imagery, Savannah, Savannah/Hilton Head International Airport, Scaparrotti and Gerasimov, sea dredgers, Sea Shield 18, Secretary of Defense, Secretary of Defense Jim Mattis, secretary of state, Security Council, Sen. Dianne Feinstein, Senate Foreign Relations Committee, Senate Intelligence Committee, Senator Robert Menendez, Senators, Sergei Shoigu, shareholders, ship-borne radar systems, soldiers, Spain, Spanish Navy's SPS Victoria (F82), special counsel Robert Mueller, St Petersburg, Stoltenberg, strikes on Syria, submarine, submarine and maritime threats, Suleiman Kerimov, Syria Strikes, Syria’s Shayrat air base, Syrian air defenses near Al-Kiswa, Syrian Democratic Forces, Syrian forces, Syrian leader Bashar Assad, Syrian military, Syrian President Bashar al-Assad, Syrian regime, Tartus naval facility, terrorism, the chairman of the Joint Chiefs of Staff, the complex, the deputy governor of Russia's central bank, the head of Lukoil, the House of Representatives, The Pentagon, the president on Iran, the Russian Federation, the Russian gas monopoly, the State Department, the top U.S. military officer, the United Kingdom, The United States, the world of aviation, Theresa May, top Democrat, training mission, TRIUMPH’ S-400 SURFACE-TO-AIR MISSILES, troop movements, Trump Administration, Trump loyalist, Trump's secretary of state, Turkey, Turkish Navy’s TCG Gemlik (F492), U.S. air strikes against Syria, U.S. Army General Curtis Scaparrotti, U.S. attack, U.S. C-130 "Hercules" cargo plane, U.S. General Joseph Dunford, U.S. Military, U.S. military officials, U.S. missile strike, U.S. sanctions, Ukraine, Ukrainian gas transit, United States, US Senate, US strikes on Syria, use of chemical weapons, USS Donald Cook, utility player, VAGIT ALEKPEROV, Valery Gerasimov, Vladimir Lisin, Vladimir Putin, war between the US and Russia, Washington, WC-130 Hercules, weapons manufacturer, Western military officials, Western strike on Syria, White House Chief of Staff on May 3, 2018 by Clairvoyant Dimitrinka Staikova. 1. Vagit Alekperov (President of Lukoil) – His health-now, Internal war, Transformation of position, How many people will manage Lukoil ? 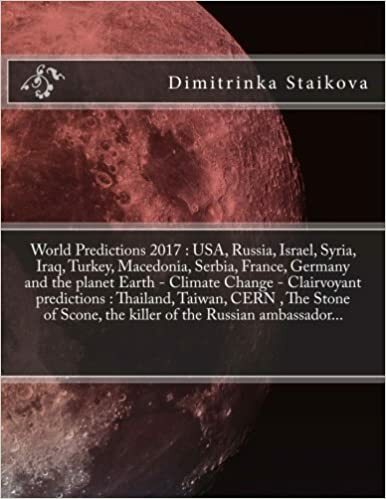 A returning, Problems in Europe, Nord Stream 2, The Arctic, Finance, Problems, An attempt for murder – when?… – Clairvoyant/Psychic predictions April 9,2018 – by Clairvoyant House “Dimitrinka Staikova and daughters Stoyanka and Ivelina Staikova” – from Europe, Bulgaria, Varna. 2. Leonid Fedun (Vice President of Lukoil) – What will happen with his heart ? Problems with money – when? A “random” hit in the face, He is accurate as a sniper in the life and business. When year 2018 he will have a new position?… – Clairvoyant/Psychic predictions Aprill 11, 2018 – by Clairvoyant House “Dimitrinka Staikova and daughters Stoyanka and Ivelina Staikova” – from Europe, Bulgaria, Varna. 5. 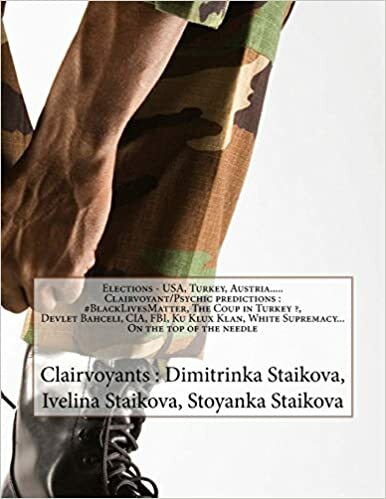 General Joseph Dunford (Chairman of the Joint Chiefs of Staff) – The war in Syria – A beginning without strategy, NATO – obedience of Erdogan, Negotiations, Gathering of NATO armies and ships at Black Sea, A war in Iraq…, His health -April 2018 – Clairvoyant/Psychic predictions april 14,2018, 10 am. 8. Gina Haspel (Deputy Director of CIA, Trump’s Nominee for CIA Director) – Very turbulent life, turbulent career, her mission abroad. What will help in her career? The gold from Iraq… – Clairvoyant/Psychic predictions April 16,2018, 9 am. 10. General Curtis Scaparotti ( Supreme Allied Commander – SACEUR of NATO) – Health – if he must visit Bulgaria, Meeting in Bulgaria, His meeting with General Gerasimov – about what and which documents they are exchanging; The war in Syria: The world through eyes of General Curtis Scaparotti – Clairvoyant/Psychic predictions April 21, 2018 , 10 am. This entry was posted in Uncategorized and tagged #SyriaStrikes, #Trump, #WWIII, Admiral Grigorovich and Admiral Essen frigates, afghanistan, aircraft, Alekperov, Alex Torshin, Alexei Mordashov, Alexey Miller, American troops out of Syria, Amnesty International, anti-Assad rebels, Assad’s use of sarin nerve gas, Azerbaijan, Baku, Baltic Sea, banned weapons, Bashar al-Assad, BASTION COASTAL MISSILE DEFENCE SYSTEM, billionaires, Britain, bureaucrats, Capitol Hill, Caspian Sea, Central Intelligence Agency, chemical attack, chemical attack last Saturday in the town of Douma, chemical weapons, chemical weapons facilities, chemical weapons program, chemical weapons-type targets, Chinese expansionism in Asia, chlorine gas attacks, CIA director, CIA Director: Mike Pompeo, CIA’s deputy director, Classified Information, conflict, conflict with Moscow, conflict with Russia, conflicts in Syria, Congress’s approval, Crimea, cyber warfare, Damascus, Defense Secretary Jim Mattis, Democrats, diplomacy, Donald Trump, drones, East-West tensions, eastern Europe, England, European allies, European gas market, fired 59 Tomahawk cruise missiles, foreign policy, France, French president Emmanuel Macron, Gas Pipeline, gas transit, gas transit via Ukraine, gas-transit contract, Gazprom, Gazprom CEO, Gazprom CEO Alexey Miller, Gazprom’s gas transmission systemm, Gen. James Mattis, Gen. John F. Kelly, Gen. Joseph Dunford, Gen. Joseph F. Dunford Jr., General Gerasimov, General Scaparrotti, Gennady Timchenko, George Tenet, German chancellor Angela Merkel, Gina Haspel, head of aluminum giant Rusal, head of Russia’s General Staff, Hmeymim air base in Syria, Homs, investors, iran, Iran nuclear deal, Iranian oil, Iraq, Islamic State militants, Jeremy Corbyn, John Brennan, Joint Chiefs Chairman, Kommersant, kremlin, Kremlin officials, Kurdish-led militia, Latakia Province, launched airstrikes, Leon Panetta, Leonid Mikhelson, Lukoil, Lukoil owner, LUKOIL President Vagit Alekperov, Maj. Gen. Igor Konashenkov, Mansuri and Changuleh oilfields, Marine General Joseph Dunford, Michael Hayden, Middle East, Mike Pompeo, military action, military advisor, military aircraft, military bases, military exercises, military officer, military weaponry, missile strikes on Syria, missiles, missiles and bombs, moscow, multisided war in Syria, Naftogaz, National Iranian Oil Company, National Security Council, NATO, NATO military alliance, NATO Secretary-General Jens Stoltenberg, Nato-Russia Council, NATO’s eastern flank, NATO’s expansion, NATO’s military committee, NATO’s supreme allied commander, nerve agent sarin, Nord Stream 2, Nord Stream 2 project, North Atlantic Alliance, North Korean leader Kim Jong-Un, oil, Oil Deals, oilfields, Oleg Deripaska, oligarchs, Organization for the Prohibition of Chemical Weapons, Pentagon, Pompeo, President Bashar al-Assad', President Donald Trump, Republican, Republican congressman, Republican leaders, Republican Senator Rand Paul, Rex Tillerson, rival ships, Roman Abramovich, Russia, Russia's oil-producing giant, Russia’s dollar billionaires, Russia’s military general staff, Russian ambassador, Russian assertiveness, Russian assets, Russian bank, Russian businesses, Russian ceasefire monitors, Russian companies, Russian Defence Minister, Russian Defence Minister Sergei Shoigu, Russian defence ministry, Russian Defense Ministry, Russian forces and Iranian-backed militias, Russian gas transit, Russian government, Russian military activity, Russian military advisers, Russian military capabilities, Russian military forces, Russian military police, Russian military sources, Russian oil major Lukoil, Russian oligarchs, Russian personnel, Russian politician, Russian politics, Russian President Vladimir Putin, Russian troops, Russians, satellite imagery, Scaparrotti and Gerasimov, Secretary of Defense, Secretary of Defense Jim Mattis, secretary of state, Security Council, Sen. Dianne Feinstein, Senate Foreign Relations Committee, Senate Intelligence Committee, Senator Robert Menendez, Senators, Sergei Shoigu, shareholders, ship-borne radar systems, soldiers, special counsel Robert Mueller, St Petersburg, Stoltenberg, strikes on Syria, Suleiman Kerimov, Syria Strikes, Syria’s Shayrat air base, Syrian air defenses near Al-Kiswa, Syrian Democratic Forces, Syrian forces, Syrian leader Bashar Assad, Syrian military, Syrian President Bashar al-Assad, Syrian regime, Tartus naval facility, terrorism, the chairman of the Joint Chiefs of Staff, the complex, the deputy governor of Russia's central bank, the head of Lukoil, the House of Representatives, The Pentagon, the president on Iran, the Russian Federation, the Russian gas monopoly, the State Department, the top U.S. military officer, Theresa May, top Democrat, TRIUMPH’ S-400 SURFACE-TO-AIR MISSILES, troop movements, Trump Administration, Trump loyalist, Trump's secretary of state, U.S. air strikes against Syria, U.S. Army General Curtis Scaparrotti, U.S. attack, U.S. General Joseph Dunford, U.S. military officials, U.S. missile strike, U.S. sanctions, Ukraine, Ukrainian gas transit, United States, US Senate, US strikes on Syria, use of chemical weapons, USS Donald Cook, VAGIT ALEKPEROV, Valery Gerasimov, Vladimir Lisin, Vladimir Putin, war between the US and Russia, Washington, weapons manufacturer, Western military officials, Western strike on Syria, White House Chief of Staff on April 29, 2018 by Clairvoyant Dimitrinka Staikova. This entry was posted in Uncategorized and tagged #SyriaStrikes, #Trump, #WWIII, Admiral Grigorovich and Admiral Essen frigates, afghanistan, aircraft, Alekperov, Alex Torshin, Alexei Mordashov, Alexey Miller, American troops out of Syria, Amnesty International, anti-Assad rebels, Assad’s use of sarin nerve gas, Azerbaijan, Baku, Baltic Sea, banned weapons, Bashar al-Assad, BASTION COASTAL MISSILE DEFENCE SYSTEM, billionaires, Britain, bureaucrats, Capitol Hill, Caspian Sea, Central Intelligence Agency, chemical attack, chemical attack last Saturday in the town of Douma, chemical weapons, chemical weapons facilities, chemical weapons program, chemical weapons-type targets, Chinese expansionism in Asia, chlorine gas attacks, CIA director, CIA Director: Mike Pompeo, CIA’s deputy director, Classified Information, conflict, conflict with Moscow, conflict with Russia, conflicts in Syria, Congress’s approval, Crimea, cyber warfare, Damascus, Defense Secretary Jim Mattis, Democrats, diplomacy, Donald Trump, drones, East-West tensions, eastern Europe, England, European allies, European gas market, fired 59 Tomahawk cruise missiles, foreign policy, France, French president Emmanuel Macron, Gas Pipeline, gas transit, gas transit via Ukraine, gas-transit contract, Gazprom, Gazprom CEO, Gazprom CEO Alexey Miller, Gazprom’s gas transmission systemm, Gen. James Mattis, Gen. John F. Kelly, Gen. Joseph Dunford, Gen. Joseph F. Dunford Jr., General Gerasimov, General Scaparrotti, Gennady Timchenko, George Tenet, German chancellor Angela Merkel, Gina Haspel, head of aluminum giant Rusal, head of Russia’s General Staff, Hmeymim air base in Syria, Homs, investors, iran, Iran nuclear deal, Iranian oil, Iraq, Islamic State militants, Jeremy Corbyn, John Brennan, Joint Chiefs Chairman, Kommersant, kremlin, Kremlin officials, Kurdish-led militia, Latakia Province, launched airstrikes, Leon Panetta, Leonid Mikhelson, Lukoil, Lukoil owner, LUKOIL President Vagit Alekperov, Maj. Gen. Igor Konashenkov, Mansuri and Changuleh oilfields, Marine General Joseph Dunford, Michael Hayden, Middle East, Mike Pompeo, military action, military advisor, military aircraft, military bases, military exercises, military officer, military weaponry, missile strikes on Syria, missiles, missiles and bombs, moscow, multisided war in Syria, Naftogaz, National Iranian Oil Company, National Security Council, NATO, NATO military alliance, NATO Secretary-General Jens Stoltenberg, Nato-Russia Council, NATO’s eastern flank, NATO’s expansion, NATO’s military committee, NATO’s supreme allied commander, nerve agent sarin, Nord Stream 2, Nord Stream 2 project, North Atlantic Alliance, North Korean leader Kim Jong-Un, oil, Oil Deals, oilfields, Oleg Deripaska, oligarchs, Organization for the Prohibition of Chemical Weapons, Pentagon, Pompeo, President Bashar al-Assad', President Donald Trump, Republican, Republican congressman, Republican leaders, Republican Senator Rand Paul, Rex Tillerson, rival ships, Roman Abramovich, Russia, Russia's oil-producing giant, Russia’s dollar billionaires, Russia’s military general staff, Russian ambassador, Russian assertiveness, Russian assets, Russian bank, Russian businesses, Russian ceasefire monitors, Russian companies, Russian Defence Minister, Russian Defence Minister Sergei Shoigu, Russian defence ministry, Russian Defense Ministry, Russian forces and Iranian-backed militias, Russian gas transit, Russian government, Russian military activity, Russian military advisers, Russian military capabilities, Russian military forces, Russian military police, Russian military sources, Russian oil major Lukoil, Russian oligarchs, Russian personnel, Russian politician, Russian politics, Russian President Vladimir Putin, Russian troops, Russians, satellite imagery, Scaparrotti and Gerasimov, Secretary of Defense, Secretary of Defense Jim Mattis, secretary of state, Security Council, Sen. Dianne Feinstein, Senate Foreign Relations Committee, Senate Intelligence Committee, Senator Robert Menendez, Senators, Sergei Shoigu, shareholders, ship-borne radar systems, soldiers, special counsel Robert Mueller, St Petersburg, Stoltenberg, strikes on Syria, Suleiman Kerimov, Syria Strikes, Syria’s Shayrat air base, Syrian air defenses near Al-Kiswa, Syrian Democratic Forces, Syrian forces, Syrian leader Bashar Assad, Syrian military, Syrian President Bashar al-Assad, Syrian regime, Tartus naval facility, terrorism, the chairman of the Joint Chiefs of Staff, the complex, the deputy governor of Russia's central bank, the head of Lukoil, the House of Representatives, The Pentagon, the president on Iran, the Russian Federation, the Russian gas monopoly, the State Department, the top U.S. military officer, Theresa May, top Democrat, TRIUMPH’ S-400 SURFACE-TO-AIR MISSILES, troop movements, Trump Administration, Trump loyalist, Trump's secretary of state, U.S. air strikes against Syria, U.S. Army General Curtis Scaparrotti, U.S. attack, U.S. General Joseph Dunford, U.S. military officials, U.S. missile strike, U.S. sanctions, Ukraine, Ukrainian gas transit, United States, US Senate, US strikes on Syria, use of chemical weapons, USS Donald Cook, VAGIT ALEKPEROV, Valery Gerasimov, Vladimir Lisin, Vladimir Putin, war between the US and Russia, Washington, weapons manufacturer, Western military officials, Western strike on Syria, White House Chief of Staff on April 27, 2018 by Clairvoyant Dimitrinka Staikova. 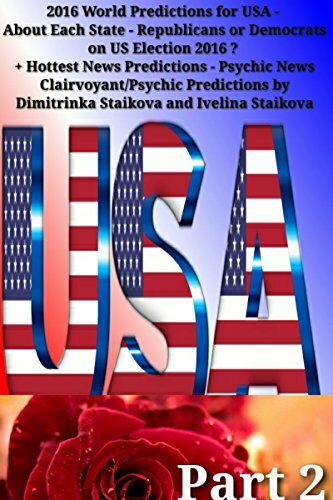 Clairvoyant/Psychic Predictions by Clairvoyant House ” Dimitrinka Staikova and Daughters Stoyanka and Ivelina Staikova ” – from Europe, Bulgaria, Varna. The meeting of Pope Francis and Patriarch Kirill in Cuba -Febr.2016 – “What is the deal between Pope Francis and Patriarch Kirill that they were discussing? Will they transfer and what part of the Catholic money from Russia to Rome ? “- Clairvoyant/Psychic Reading by Clairvoyant House ” Dimitrinka Staikova and daughters Stoyanka and Ivelina Staikova” – from Europe, Bulgaria, Varna – 13.02.2016, 9am. 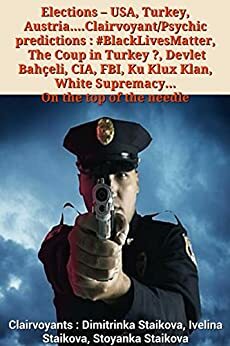 You can Buy This Ebook only – Directly from the Author – Order your Ebook today, pay with PayPal and You will receive the PDF file in the next 24 hours. 1.Jeff Bezos (The Owner of Amazon) – “Who is he? Investments, Future… – Clairvoyant/Psychic Predictions by Clairvoyant House “Dimitrinka Staikova and Daughters Stoyanka and Ivelina Staikova” – from Europe,Bulgaria, Varna – 29.01.2016,11am. 2.Carlos Slim Helu (Mexico) – “Investments of money, Health,Business,Future investment in the Space” – Clairvoyant/Psychic Predictions by Clairvoyant House “Dimitrinka Staikova and Daughters Stoyanka and Ivelina Staikova” – from Europe,Bulgaria, Varna – 30.01.2016,10am. 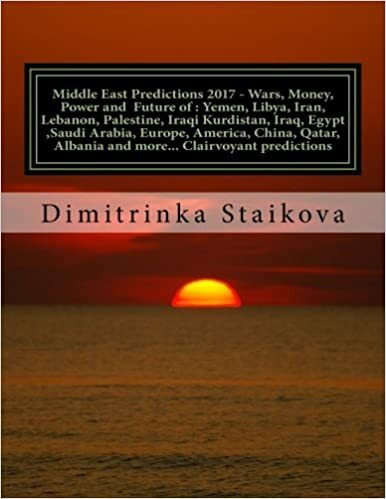 3.Prince Alwaleed Bin Talal Alsaud (Saudi Arabia) – “The future of Saudi Arabia and the Middle East seen through his eyes in year 2016” – Clairvoyant/Psychic Predictions by Clairvoyant House “Dimitrinka Staikova and Daughters Stoyanka and Ivelina Staikova” – from Europe,Bulgaria, Varna – 31.01.2016,9am. 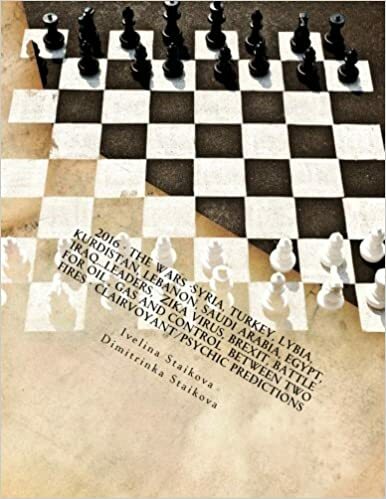 4.Georg Schaeffler – “Germany beyond all”,”Future,Present, Storm with explosion, Marriage” – Clairvoyant/Psychic Predictions by Clairvoyant House “Dimitrinka Staikova and Daughters Stoyanka and Ivelina Staikova” – from Europe,Bulgaria, Varna – 01.02.2016,9am. 5.Warren Buffett (Berkshire Hathaway) -“Business – in everything and above all countries, Inheritance, Transport,Money, Space…Will his Company be great also after Buffett? ” – Clairvoyant/Psychic Predictions by Clairvoyant House “Dimitrinka Staikova and Daughters Stoyanka and Ivelina Staikova” – from Europe,Bulgaria, Varna – 02.02.2016,10am. 6.David Thomson (The Owner of Reuters) – “This is the Man – Steel : He will survive always, health, business, assaults” – Clairvoyant/Psychic Predictions by Clairvoyant House “Dimitrinka Staikova and Daughters Stoyanka and Ivelina Staikova” – from Europe,Bulgaria, Varna – 03.02.2016,10am. 7.Alice Walton (Owner of Wal-Mart) – “She is born with the feeling to give love to her relatives and to receive such” – Clairvoyant/Psychic Predictions by Clairvoyant House “Dimitrinka Staikova and Daughters Stoyanka and Ivelina Staikova” – from Europe,Bulgaria, Varna – 04.02.2016,10am. 8.Lee Shau Kee (Hong Kong Billionaire) – “Money, Investments 2016, Who will manage the business?” – Clairvoyant/Psychic Predictions by Clairvoyant House “Dimitrinka Staikova and Daughters Stoyanka and Ivelina Staikova” – from Europe,Bulgaria, Varna – 05.02.2016, 9am. 9.Jorge Paulo Lemann (Brazil Billionaire) – “Health, Business 2016 : Underground and Above the ground” – Clairvoyant/Psychic Predictions by Clairvoyant House “Dimitrinka Staikova and Daughters Stoyanka and Ivelina Staikova” – from Europe,Bulgaria, Varna – 05.02.2016,10am. 10.Carl Icahn (USA Billionaire) – “Power, Order, Money -2016 -lonely winner” – Clairvoyant/Psychic Predictions by Clairvoyant House “Dimitrinka Staikova and Daughters Stoyanka and Ivelina Staikova” – from Europe,Bulgaria, Varna – 06.02.2016, 9am. 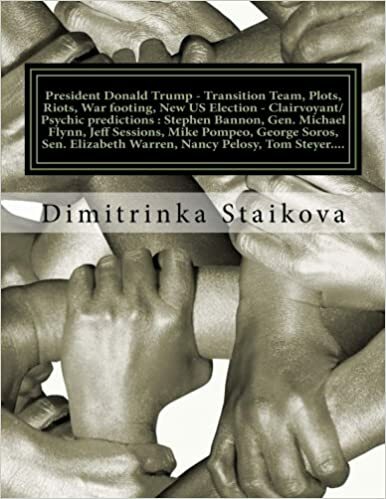 11.Donald Trump (US Election 2016) – “The truth is that Donald Trump wants to be a warrior in a battle until the end, but certain situations and people will take him out of the game” – Clairvoyant/Psychic Predictions by Clairvoyant House “Dimitrinka Staikova and Daughters Stoyanka and Ivelina Staikova” – from Europe,Bulgaria, Varna – 07.02.2016, 9am. 12.Bill Gates – Clairvoyant/Psychic predictions about Each month of year 2016 – Victories, Business, Political coups and …. -by Clairvoyant House “Dimitrinka Staikova and Daughters Stoyanka and Ivelina Staikova” – from Europe,Bulgaria, Varna – 07.02.2016, 10am. 13.Scott Duncan (American Billionaire) – February 8, 2016 , “Clairvoyant Calendar 2016 : Old Partners – New enemies, Business 2016, A child, Business war, Lawsuit, New energy field – problems, Merger + Girlfriend + Wife….- Clairvoyant/Psychic Predictions by Clairvoyant House “Dimitrinka Staikova and Daughters Stoyanka and Ivelina Staikova” – from Europe,Bulgaria, Varna – 08.02.2016, 9am. 14.Jack Dorsey (The owner of Twitter) Febr.2016- “About Twitter, the business and personally about Jack Dorsey” – Clairvoyant/Psychic Predictions by Clairvoyant House “Dimitrinka Staikova and Daughters Stoyanka and Ivelina Staikova” – from Europe,Bulgaria, Varna – 10.02.2016, 1 pm. 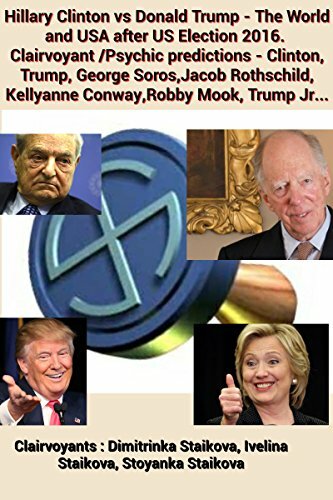 15.George Soros (10.02 2016) – “Invasion, massacre, money, banks, Lebanon, Syria, Albania, Egypt, Iraq, Greece, Cyprus, USA – Empire in the empire, heirs, future ” – – Clairvoyant/Psychic Predictions by Clairvoyant House “Dimitrinka Staikova and Daughters Stoyanka and Ivelina Staikova” – from Europe,Bulgaria, Varna – 10.02.2016, 2 pm. 17.Michael Bloomberg (Sponsor and Decision for US Election 2016) – Clairvoyant/Psychic Predictions by Clairvoyant House “Dimitrinka Staikova and Daughters Stoyanka and Ivelina Staikova ” – from Europe, Bulgaria, Varna – 21.10.2015,9 am. 19.Robert Mercer (Billlionaire, Sponsor of the Campaign of Ted Cruz – US Election 2016, co-CEO of Renaissance Technologies – a hedge fund) – Clairvoyant/Psychic Predictions by Clairvoyant House “Dimitrinka Staikova and Daughters Stoyanka and Ivelina Staikova ” – from Europe, Bulgaria, Varna – 23.10.2015,3 pm. 20.Mark Zuckerberg (Chairman and CEO of Facebook) – Clairvoyant/Psychic Predictions by Clairvoyant House “Dimitrinka Staikova and Daughters Stoyanka and Ivelina Staikova ” – from Europe, Bulgaria, Varna – 26.10.2015, 5pm. 21.Li Ka-Shing (The Richest person in Asia)- “He likes the research,intelligence,secrets,alien technologies and the future…” – Clairvoyant/Psychic Reading by Clairvoyant House “Dimitrinka Staikova and daughters Stoyanka and Ivelina Staikova” – from Europe,Bulgaria,Varna -March 4,2015,11am. This entry was posted in Clairvoyant, Confirmation, Money, Peace, Psychic, Uncategorized, War, World predictions that came true and tagged #family, #lifestyle, #Love, abortion, Alice Walton, aliens, amazon, Amazon founder, atheist, atheist regimes, “Open Society Foundations”, Berkshire Hathaway, Bezos Expeditions, Bill Gates, billionaire, billionaires, biomedical reproduction technology, Bishop of Rome, Blue Origin, bombings, Brazil, Cardinal Parolin, Carl Icahn, Carlos Slim, Carlos Slim Helu, Catholic communities, Catholic missionaries, Catholics, CEO, Charles Koch, Chile, Christian faith, Christians, Civil Wars, clairvoyant, Company, conglomerate, corporation, Crown, Cuba, David Thomson, deflation, diplomacy, Donald Trump, East, Egypt, Europe, European integration, European Mass Migration Crisis, euthanasia, events, faithfulness, forbes, Forbes’ ranking, Foreign Aid, Framcis, funding, General News, Georg Schaeffler, George Soros, Germany, Government And Politics, Greek Catholic Church, Greek Catholics, Havana, Holy Mother of God, human life, Human Welfare, Humanitarian Assistance, Humanitarian Crises, International Agreements, International Relations, Investments, investors, iran, Iraq, ISIS, israel, Italy, jack dorsey, Jeff Bezos, John Paul II, Jordan, Jorge Paulo Lemann, Kuweit, Lebanon, Lee Shau Kee, li ka-shing, liquidator, Lybia, Mark Zuckerberg, marriage, mass exodus, Media, Mexican prison, Michael Bloomberg, Middle East, migrant crisis, migrants and refugees, moscow, Moscow Patriarchate, new World War, Orthodox, Orthodox Christians, Orthodox faithful, Our Lady of Kazan, Palestina, papal flight, Paraguay, Patriarch Kirill, Patriarchate, People, philanthropist, pipeline, Political Refugees, Pope Francis, Pope Francis in Mexico, Pope of the Catholic Church, Prince Alwaleed Bin Talal Alsaud, psychic, psychic predictions, Raul and Fidel Castro, reconciliation, religious freedom, Reuters, Richest Americans, Robert Mercer, Rocket Landing, Rome, Russia, Russian Orthodox Patriarch Kirill, schism, scott duncan, Self-improvement, share, Shareholder, Social Affairs, Social Issues, society, Soros, space, Space Business, Space Company, stagnation, stock market investments, Support Groups, Syria, Syrian civil war, Syrian refugees, technologies, Television, terrorism, threat, Turkey, Twitter, US Election 2016, USA, Vatican, Vladimir Putin, War And Unrest, Warren Buffett, water, West, World's Richest Person, world’s wealthiest people on February 13, 2016 by Clairvoyant Dimitrinka Staikova. Meeting of Ahmet Davutoglu (Turkish Prime Minister) with Mustafa Akinci (President of Turkish Republic of Northern Cyprus) – Clairvoyant/Psychic Predictions by Clairvoyant House “Dimitrinka Staikova and daughters Stoyanka and Ivelina Staikova” – from Europe,Bulgaria, Varna – 2.12.2015, 2pm. Mustafa Akinci (President of Turkish Republic of Northern Cyprus) – Now, he has sick throat, inflamed sinusia channels on left – eye, ear, throat – near the thyroid gland. The inflammation is with pain and is going on the right side – muscles, lungs – it affects the breathing and urinary tract. He has a non treated left kidney – it is not painful. The strong pain on the right side is caused by gasses and bacteria and affects the muscles, including the heart. On the back of the spine, the muscles on right, the waist and especially the right side of the pelvis are painful. This is flu that will pass, except – the disease on the left kidney. The life of mr. Mustafa Akinci is a deal, making of reverence to a senior than him and money. His weak point – He wants a home like palace. His rise will be in the next two years. Then, he will be formally doing his job, but it will be sent someone else to which he will make reverences. His only goal is to hold the greek president of Cyprus on distance. He must not cause conflicts or to be involved in conflicts – Now – until the Spring of year 2016. Since May 2016 are starting terrorist attacks in Cyprus – prepared by Turks. They will blast boats and small ships. I see as a geyser new energy source year 2016 in Cyprus – on South – It will explode between one already found deposit – on east by it and aside there will be new searching of oil. Ahmet Davutoglu (PM of Turkey) – In that conversation he already talked about money and three energy sources. Attempts to be closed the zone. They talked about Cyprus as territory. Plans are started about the conquer of territory – The Greek Cyprus. • First, a town near water. • Near the town on Northwest, I see big vessel from which are invading turks and the island – surrounded by vessels. The turks from Cyprus are invading only in the northern part of the Greek Cyprus sideways of the town near the turkish vessel. • December 2015 – Only Energy – Ahmet Davutoglu is interested only by oil and natural gas. • January 2016 – A month of roads, conversation with the European Union about money and the War in Syria. • February 2016 – Contracts – Problems,war – Everything falls appart. • March 2016 is decisive and hard month for Turkey. A war on two borders. Attacks…Terrorism…Murder…of notable turkish politician. This entry was posted in Uncategorized and tagged Ahmet Davutoglu, Akıncı, Anadolu Agency, Anastasiades, and United Nations envoy Espen Barth Eide, Ankara, AP Photo, Aphrodite" field, Archbishop Chrysostomos, British Foreign Secretary Philip Hammond, clairvoyant, conflict, Cyprus, Cyprus issue, cyprus problem, Cyprus` Exclusive Economic Zone (EEZ), dailysabah, Davutoglu, Dimitrinka Staikova, diplomacy, EGAS, Egypt, ENI-KOGAS, Erdogan, Espen Barth Eide, Espen Barthe, ethnically divided island of Cyprus, Foreign Minister Mevlüt Çavuşoğlu, Greek Cypriot, Greek Cyprus, Greek Cyprus president Anastasiades, in-cyprus, Ioannis Kasoulides, israel, Istanbul, Ivelina Staikova, John Kerry, Kasoulides, Kerry, KKTC, Larnaca, Lavrov, Lefkosa news conference, Lefkoşa, left, liquefaction terminals in Egypt, Mevlüt Çavuşoğlu, military junta, Mustafa Akıncı, Nicos Anastasiades, Nicosia, Noble Energy, official visit, Omirou, Parliament Speaker Sibel Siber, politics, Prime Minister Ömer Kalyoncu, psychic, psychic predictions, psychic reading, putin, regional crisis, reunifying Cyprus, right, Russia, Russian jet, Russian president, security, Sergey Lavrov, todayszaman, Total, Turkey, Turkey's intervention, Turkish Cypriot leader, Turkish Cypriot leader Akıncı, Turkish Cypriots, Turkish military, Turkish prime minister, Turkish Republic of Northern Cyprus, U.S. Secretary of State John Kerry, UN, UN Security Council, Union Fenosa, US, Vatan daily, Vladimir Putin, Wednesday, world predictions, Yiannakis Omirou, Yiorgos Lakkotrypis on December 3, 2015 by Clairvoyant Dimitrinka Staikova.